So what is a Bosun doing at a car show, well for a start these are cool cars being mainly big yank tanks, and many have superchargers and ever since I was a child I wanted a car with supercharger and side pipes. While side pipes do not seem in fashion luckily silly superchargers are so that’s one draw. 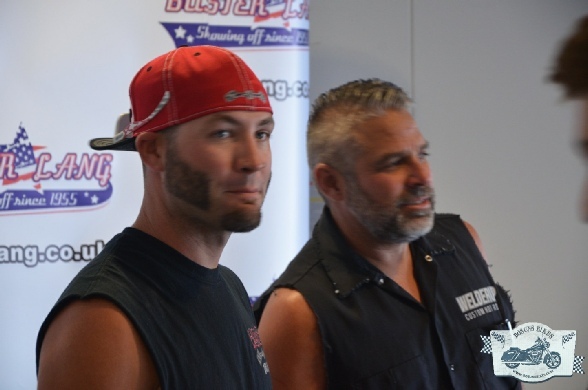 Also kindly Wade from Sickboyz customs had invited me along to the custom bike show he was running how could I refuse? Especially on a lovely sunny day in summer, yes we did have some. 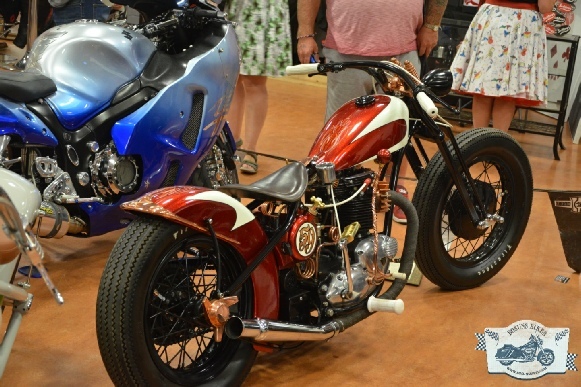 There was a huge juxtaposition between the sparkly and shiny bikes in the custom show to the ratrods that the contest shared the hall with. And it was an eclectic selection of bikes on show with a selection of Lamb Engineering bikes and several local and not so local builders. And arriving on Sunday it was obvious that the evening party the night before which all seems to have been instigated by Andy at custom chrome had taken its toll, matchsticks all round boys? A few suppliers and other manufactures were present too while Stig showed off his painting prowess amongst an array of panels reminiscent of Christmas. This year the positioning was a lot better right beside the door so lots would see it and with many of the bikes sporting Stigs metal flake handiwork there was a lot of sparkle. It was nice to see RB Kustoms with his Gold digger bike in the show, which I had only seen in half light at an evening meet earlier in the year a very neat and tidy bike. But as ever I was distracted by friends calling me outside as there were cheerleaders to photograph, doughnut eating contests, lowriders sunshine and lots more it really was a full on event. First Matt Burberry and his achingly pretty Harley chop which I believe will be in this magazine soon. 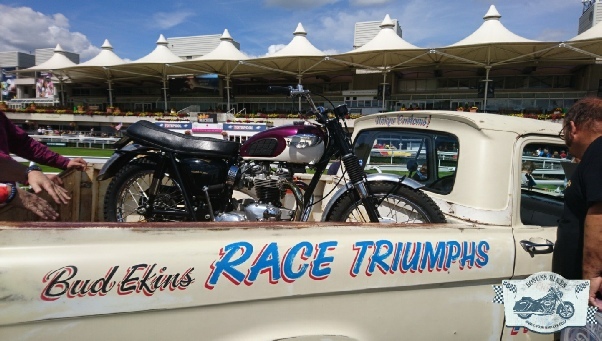 Second was Dave How and his “all the fun of the fair” Triumph, and thirdly Riggs LCS BSA which I would happily have ridden home on, which also won Stigs special award. Wade really hopes this bike show will go from strength to strength and it’s great to have the opportunity of a mid-season show in the south. All those I spoke too had a great day out and there was a great feel about the whole day. As Sickboyz now start to move to new premises and the next chapter of their growth, we hope that Wades aspirations come true.